We put large hole on the inside, so that you can put a 6/32 kept nut inside of the hole, and we put a smaller hole on the backside, to run the bolt through. The battery can slide inside of the mount. 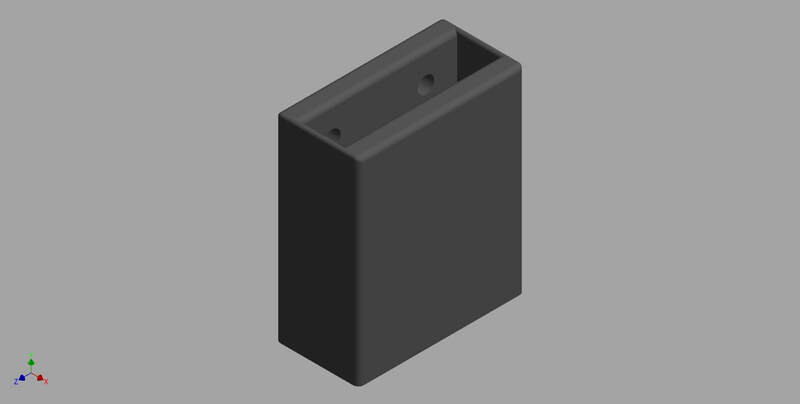 This battery mount is like the one above this one but it can hold both Rev Batteries and Tetrix Batteries.